Every year (it seems) I come to this moment where I think about what I want Christmas to look like. It's so easy to get pulled into everything Christmas and forget about the basics. 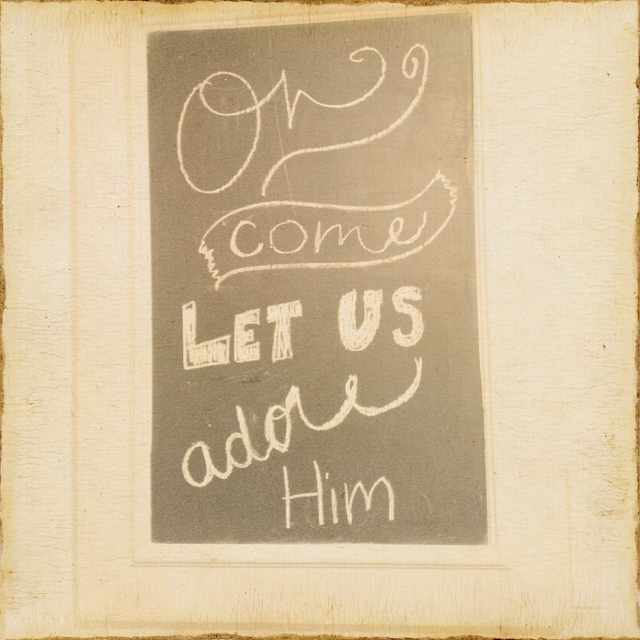 The simple and profound truth that Jesus arrived as a babe to save us. One of my new favorite songs during the Christmas season is called "Born to Die" by Shane and Shane. Here are the lyrics. Soak them up. It's even prettier to listen to :) (ps. you have to get to about 2 minutes in to hear the song). For me, celebrating Christmas is multi-layered. I love to listen to the classic, bake cookies, decorate, buy gifts, enjoy family, wish for snow (in Texas! ), watch the holiday classics, and do all those other "Christmasy" things. I truly think those are all good things. But I don't want these good and fun things to cloak the beauty of this season. I don't want to miss out on the expectancy and joy that celebrating Christ's birth brings. So, I need to hear from you. What ways do you keep Jesus above all the other holiday glitter? I'd love to know?